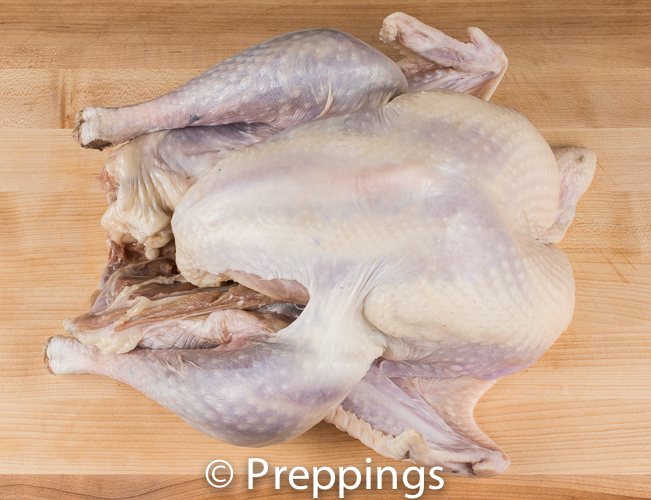 A large game bird that is often cooked around the holidays in North America. 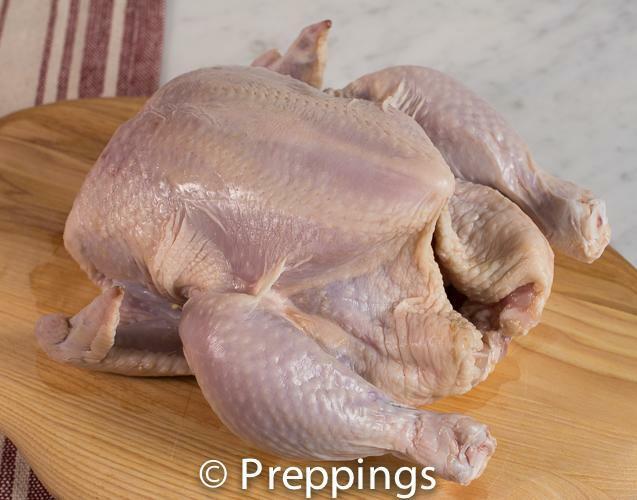 The turkey has little fat and tends to be a little dry when cooked. It is usually roasted but can also be braised, deep fried, or confit.